Happy Sunday, everyone! 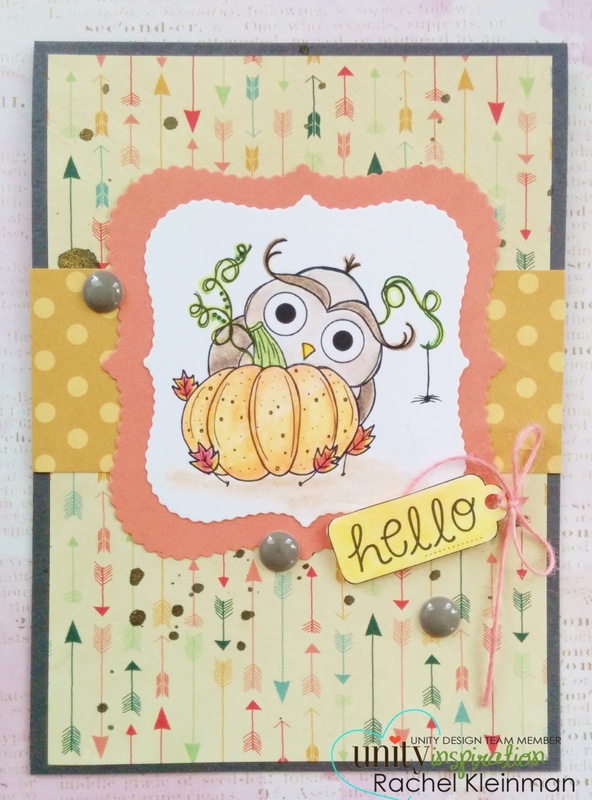 Rachel here to share the newest, adorable-ist Stamp of the Week called "Hello Pumpkin". 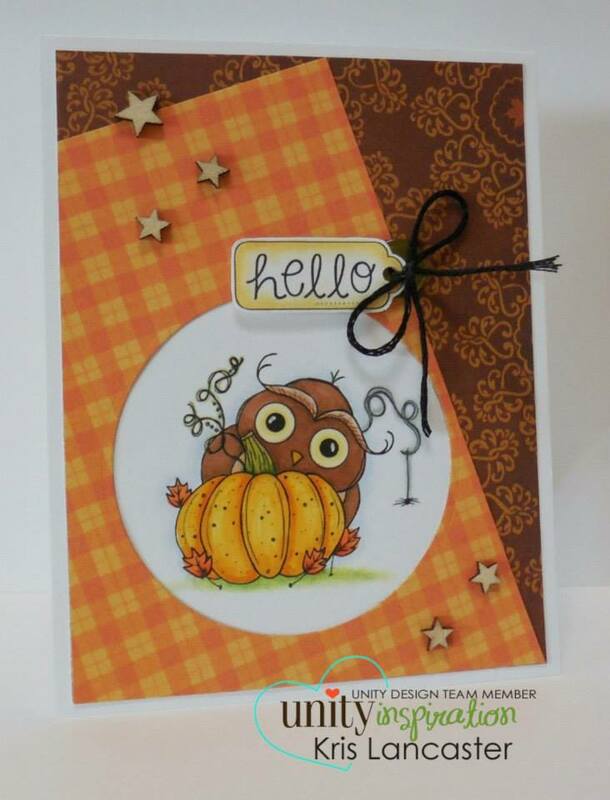 I love all the autumn themed stamps that Unity is releasing lately. I am so ready for fall! I know I can't be the only one, right? Here is my sample with this cutie. I colored the stamp with Prismacolor Pencils and layered him with some autumn toned papers. Easy easy! 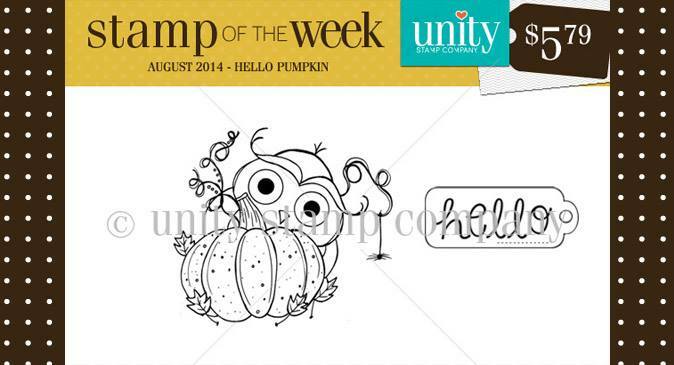 The Stamp of the Week subscription brings you a brand new itty bitty stamp in your mailbox every single week! For only $5.79 a week! Click on over to the Unity site for all the details.